What does it mean to be a leader? Some argue that leadership comes with confidence and a prestigious title. While others believe that leadership skills, like wisdom, come naturally with age. There is a lot of confusion around what leadership means, and what type of individual fits the leadership mold. Instead of pouring over an obvious leader whose cup runneth over with confidence and prestige, I decided to share the story of Miss Rita, a teacher at my son’s preschool. In my opinion Miss Rita personifies leadership with a high emotional intelligence, her ability to influence others, and always allowing the voices of leadership below to be heard. Over the past few years, I have observed Miss Rita’s overwhelming ability to influence her class. 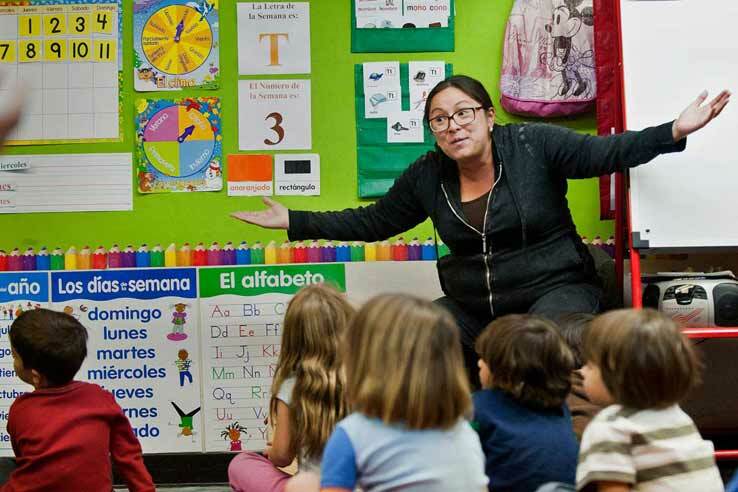 Kotter asserts that, “Leaders set direction, align people, motivate and inspire.” Miss Rita sets direction in her classroom, and aligns all the children – all twelve of them. Miss Rita motivates and inspires the children to caste away their diapers, put on their big boy (or girl) underwear and use the toilet. One dad affectionately referred to Miss Rita as the “Toilet Whisperer” because, like Caesar Milan, she has a magical ability to teach, coach, and influence her constituents. What’s more, my son was toilet trained at 25 months old, which is exactly one month after joining Miss Rita’s class. My husband and I joke that this miracle was all Miss Rita’s doing and we just fell in line with her potty training curriculum. While toilet training countless two-year-olds may not be the hallmark of every great leader, it surely showcases Miss Rita’s ability to influence and motivate her class. My next observation of Miss Rita’s leadership qualities occurred last summer when I was asked to chaperone a field trip to the zoo for my son’s class. It is on this field trip that I observed what Heifetz and Laurie refer to as “Protecting voices from below,” an important principle in effective leadership. Allowing subordinates to be heard is easy enough, right? On the contrary, I argue. After observing Miss Rita that scorching summer day at the zoo, I can say with conviction that allowing voices below to be heard is quite difficult. This principle of leadership is especially challenging to achieve when your constituents are two years olds. Yet all day, Miss Rita took the time to ensure the children’s universe of requests, which often sounded more like demands were heard. Toilet training and unforgettable field trips aside, Miss Rita’s emotional intelligence is arguably one of the highest of any person I know. Goleman explains that there are five components to an emotional quotient, one of which is empathy. Simply put, empathy is the willingness to thoughtfully consider others feelings. It is not too often that I observe someone with an enlarged capacity for empathy. Miss Rita exudes empathy on a daily basis. My son loves Miss Rita and I am fairly certain it has everything to do with her capacity for empathy, not how much she has in the bank or a prestigious title. When Miss Rita learned that my husband was on a business trip on my son’s third birthday, she ensured that day at school was an extra special day for him. When I arrived to pick my little guy up from school that day I found him in his favorite spot – sitting on Miss Rita’s lap. I will never forget how happy he looked sitting in Miss Rita’s lap wearing a blue construction paper crown decorated with the number three, a Mickey Mouse “It’s Your Birthday” necklace and holding his special birthday book from Miss Rita. When I think of that day, my son’s third birthday, it reinforces what I believe to be true. Miss Rita is the ultimate empathetic leader. Though Miss Rita’s story of leadership may seem unconventional, it embodies what I believe are important qualities in a leader. Influencing others, ensuring voices from below are heard and having an enlarged capacity for empathy may be important for the Mark Zuckerburgs’ of the world, but they are equally important for the Miss Ritas’ of our world. While Miss Rita’s cup does not runneth over with confidence or prestige like many leaders, from where I stand it is pretty full with empathy. Toilet Whisperer, you inspire me. Kotter, J. P. (2011). What Leaders Really Do (pp. 41-49). Boston, MA: Harvard Business School. Heifetz, R. A., & Laurie, D. L. (2011). The Work of Leadership (pp. 69-71). Boston, MA: Harvard Business School. Goleman, D. (2011). What Makes a Leader (pp. 16-18). Boston, MA: Harvard Business School. Shanna Johnson, a Graduate Student at Westminster College was selected as one of the top leadership blog posts submitted last semester.